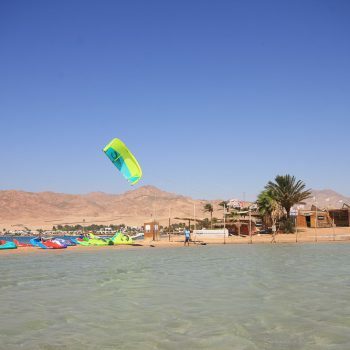 40 Cabrinha kites und 20 Cabrinha boards are available at our kite centre in Dahab. 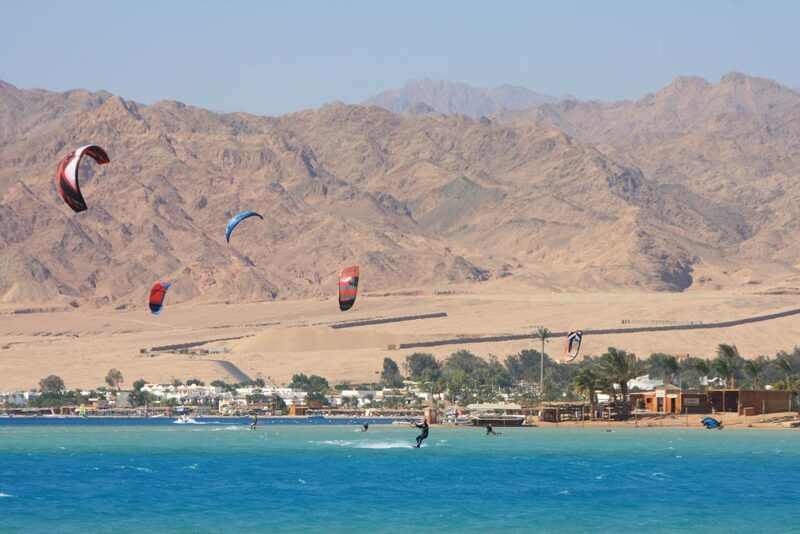 Our windsurf and kite centre in Dahab is located directly at Centre 1 at the Hotel Tirana Dahab Resort. 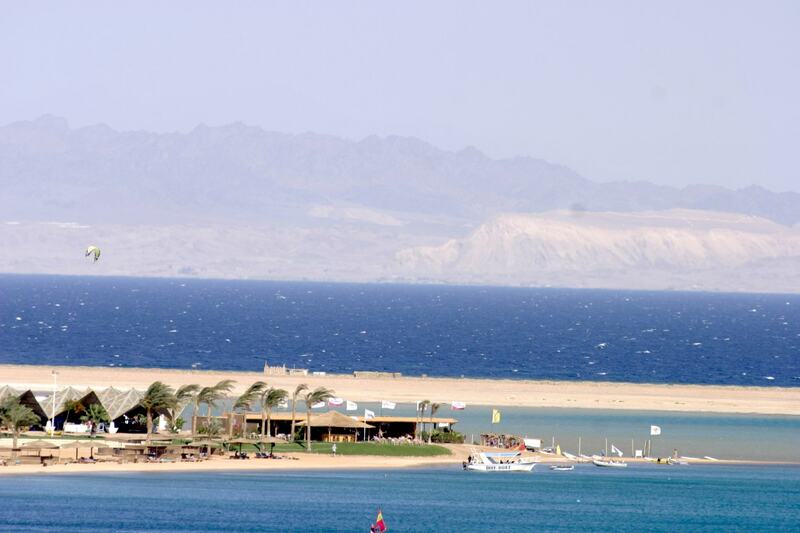 It boasts a private and secure rigging area exclusively for our guests as well as a direct access to the kiting lagoon. 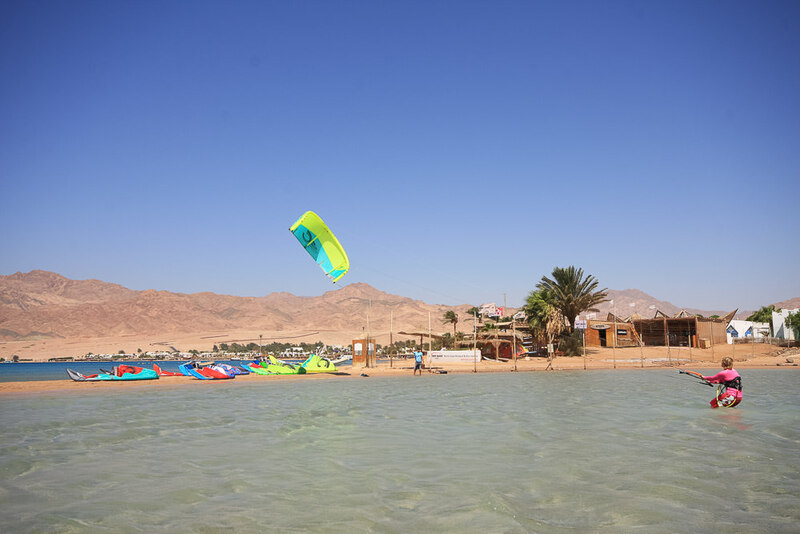 Our service includes a large, locked storage area, launching and landing site, compressor and a radio rescue service (walkie talkies) for advanced kiters kiting outside of the kiting lagoon. 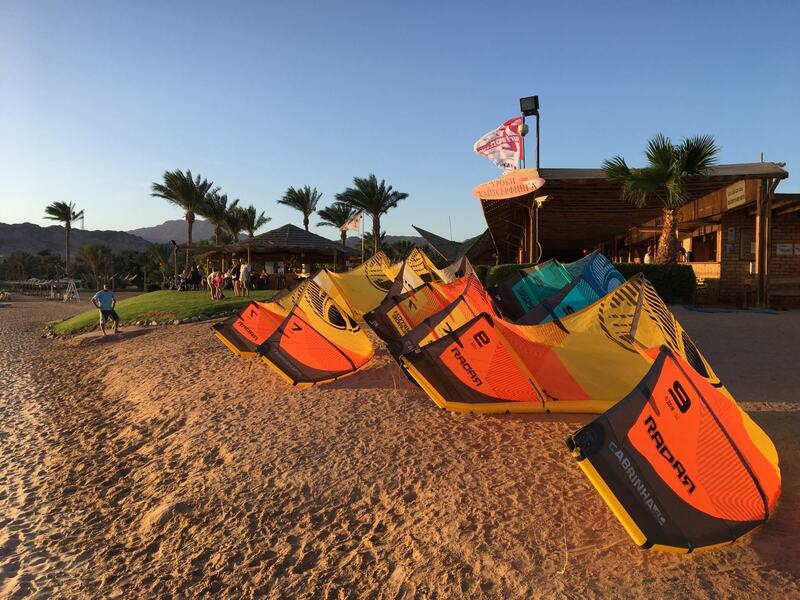 In our rental we offer the latest kites – Moto, Switchblade, FX and Contra from3.5 – 17 sqm. We rent out 1/2 days, per day or per week – material insurance is possible. Kite rental includes 3 rescues. Includes: locked storage area, boat shuttle, radio rescue service (walkie talkies), launching and landing assistance, showers, compressor, changing room, toilets, etc. 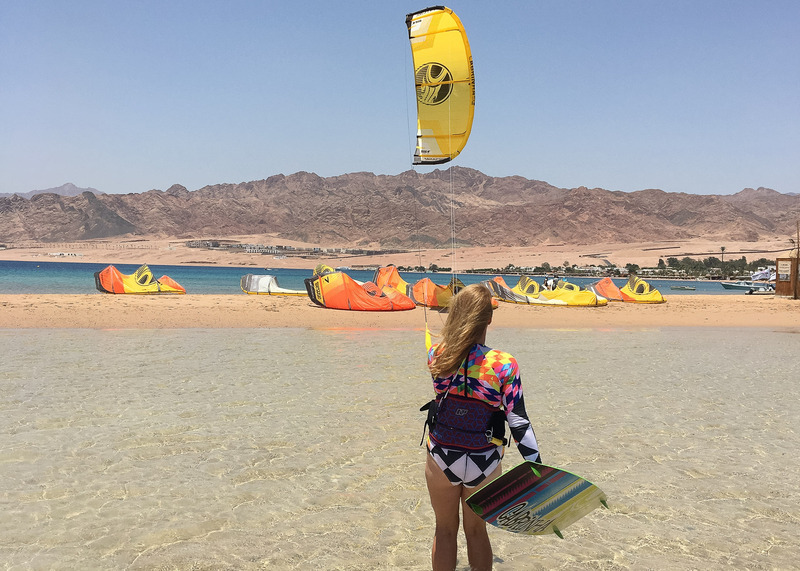 Especially for independent kiters who want to kite outside the lagoon, it is important to do so with affiliation to our station and with our walkie talkies. The wind blows cross offshore so that it can be difficult – even for experienced kiters – to cross back to the station when the wind drops. Without affiliation to our station usage of our beach, the station and its facilities is not possible. The use of our facility also includes a usage fee for the beach, which covers our costs for rent, licenses, salaries and taxes. As we offer a professional service and ensure your safety, this fee is meant to be a small contribution to enable us to provide you with our usual quality. Bookable per day or per week. 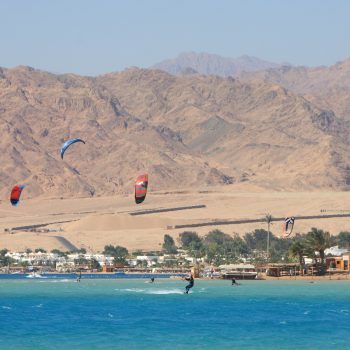 We offer weekly combination packages for windsurfing and kiting.